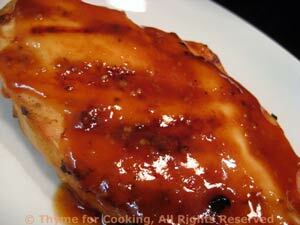 Barbecued Chicken Breasts and Sweet Corn, Thyme for Cooking gourmet menus. We overindulge on the sweet corn so other food isn't needed. Bring an inch of water to boil in a large kettle with a steamer rack. 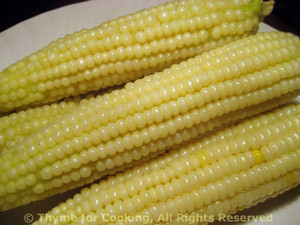 Add corn, cover and steam 4 - 5 minutes (depends on how much corn you put in) or until done. Take 1 ear, slather with butter, salt and pepper. Eat. Repeat. Happy summer!